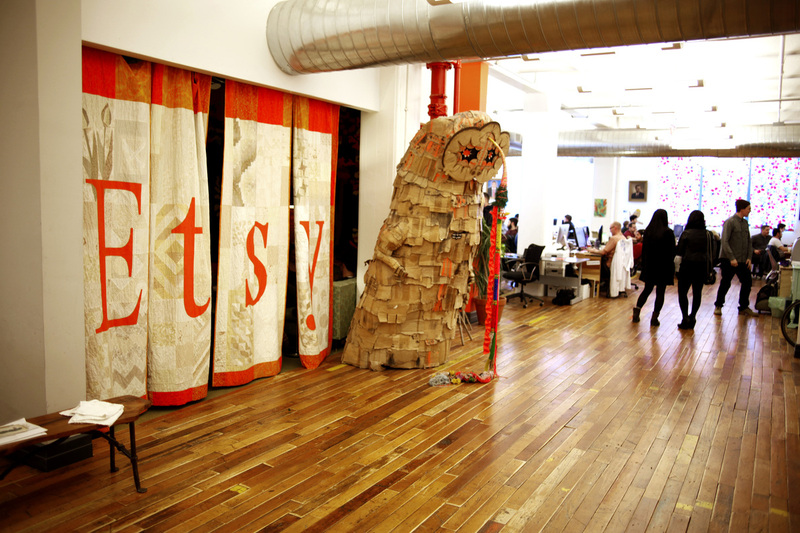 Etsy Crafts A Strategy For Staying Handmade And Profitable Etsy began as a place for home crafters and small businesses to sell their goods, but it has experienced growing pains as it surpasses 800,000 sellers. Some sellers are actually fronts for factories, while other sellers have left because the site isn't designed to handle volume. Etsy, which began as a place for home crafters and small businesses to sell their goods, has experienced growing pains as it surpasses 800,000 sellers. Etsy has gotten very big, very fast. This year, sales are at about $800 million. "Their growth on all the major metrics you want to look at has accelerated really consistently," says journalist Rob Walker. Walker recently wrote a story for Wired Magazine with the headline, "Can Etsy Go Pro Without Losing Its Soul?" Here's why: Etsy makes money from its sellers: 20 cents every time they list an item and 3.5 percent of every sale. Today, there are some 800,000 sellers. But they don't all share the values Etsy promotes, which Walker calls a "kind of moral purity of the handmade as a response to the alienation of mass-manufacturing culture." Etsy's CEO Chad Dickerson says the site is working on ways to retain sellers and weed out factory-made products. Walker says a lot of the almost-political ideas that were crucial when Etsy started are "less crucial now to probably most of the sellers, but still very important to some of the sellers." Etsy has gotten so big, it's hard to know what motivates each seller. "I was a government worker yearning for a more creative outlet," says Heather Noss. Four years ago, Noss quit her day job and opened a shop on Etsy, where she sells handmade stationery. "I was at my kitchen table by myself for a year and a half rolling every single piece of paper, printing, cutting every single piece of paper," she says. "I was my own bookkeeper." Pretty quickly, the books started filling up with orders for wedding invitations and Christmas cards. She hired an assistant. She rented studio space. But eventually her success became a loss for Etsy. "I need more management tools that are not present on Etsy," Noss says. For example, she says, the messaging system made it tough to sort through a lot of customer emails. So Noss set up another business. Now, 80 percent of her revenue comes to her directly, and Etsy is making less off her than it used to. "I love Etsy. I was able to make sales that I'm sure I never would have been able to make if I had attempted to, say, create my own website," Noss says. Etsy doesn't want its biggest sellers to go elsewhere. So it has made changes, like making it possible for sellers to take credit cards and offering online sales training. 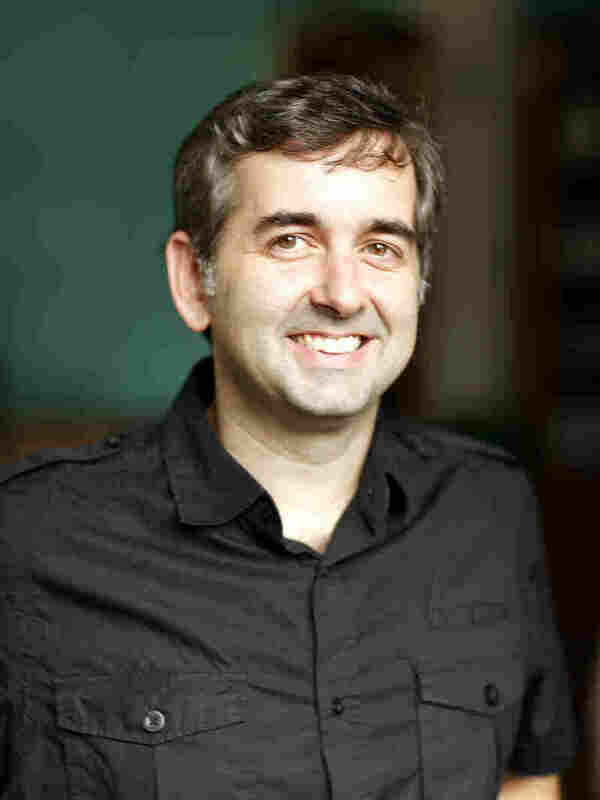 "We're always looking for new ways to make our sellers more successful and find new channels for them to sell," says Etsy CEO Chad Dickerson. Even though e-commerce is growing, Dickerson says, the vast majority of retail sales still happen offline. So, Etsy partnered with the Williams-Sonoma retail chain West Elm. "As West Elm opens up new stores around the country, they actually wholesale items from local Etsy sellers and put those items in the store," Dickerson says. But that also means that Etsy sellers will be in some shopping malls. "It goes back to the ideology — isn't Etsy supposed to be a response to the mall? Aren't we tearing down the mall?" Walker says. "I think that the new thinking is, instead of fighting traditional retail, we should figure out ways to infiltrate traditional retail on our own terms." Dickerson says one of those terms is "handmade." But that's another problem Etsy has been having. Some sellers complain that there are mass-produced goods being sold on the site, says April Winchell, who started a blog called Regretsy. "Let's say I'm a buyer and I'm looking for a wedding gown. One gown is $78 because it's from a factory in China, but the woman has a cute little name, like Joanie Sews, and so you think it's a person. And the other gown is $600 because it really is one woman trying to make this thing for you for your wedding," Winchell says. "Which one are you going to buy? So it sets up unfair competition between factories and homemakers." Dickerson says Etsy does monitor the site; users flag shops that look suspicious and Etsy investigates. "We ask for documentation and photos and basically proof of how the item is being produced and then we make a decision on whether to allow that item or that shop the ability to stay on Etsy," he says. Dickerson says the company is working to keep 800,000 sellers around the world happy. After all, sellers are Etsy's most important customers.